Mr. Blake brings over ten years of professional scouting experience with him to the SBA. 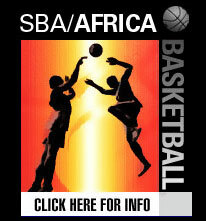 Currently Terence is responsible for identifying, scouting, and signing players with the SBA, as well as solidifying contracts both domestically and internationally with professional teams. Terence has a B.S. degree from Morgan State University and is a second year part time law student at University of Baltimore.